Harris will provide vehicular radio systems worth $13 million for ground-to-air public safety and tactical communications of the U.S. National Guard. The U.S.’ reserve military organization ordered Harris’ AN/PRC-117G Falcon III multiband networking manpack radios as well as AN/PRC-150 high-frequency and XG-100M Unity radio platforms, the company said Tuesday. 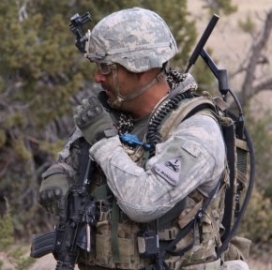 Harris will design the products to connect with a company-built vehicular intercom system and integrate with the Air National Guard’s multiwheeled vehicles. The order also includes radio system installation, training and other support services. Harris noted a tactical air control party uses the company’s Battlefield Airmen System of Integrated Communications network to coordinate close air support operations.